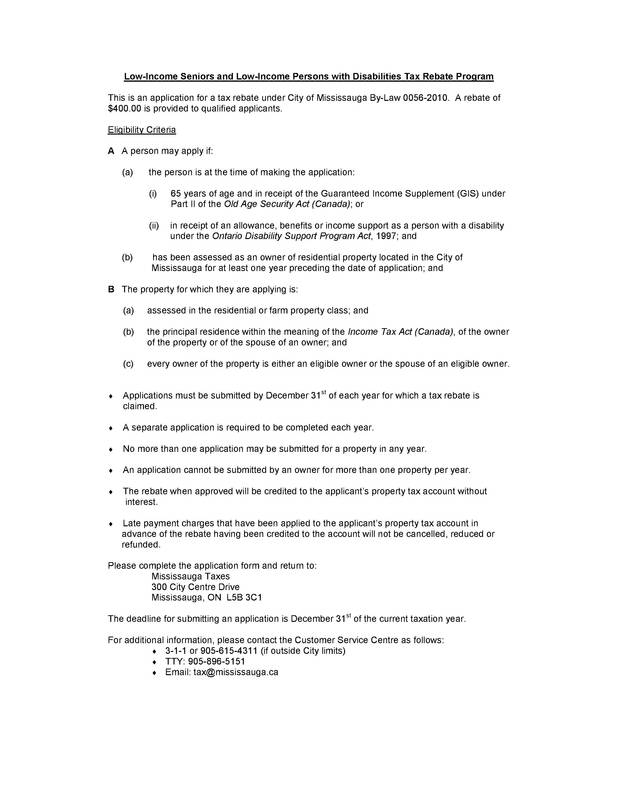 This is an application for a tax rebate under City of Mississauga By-Law 0056-2010. 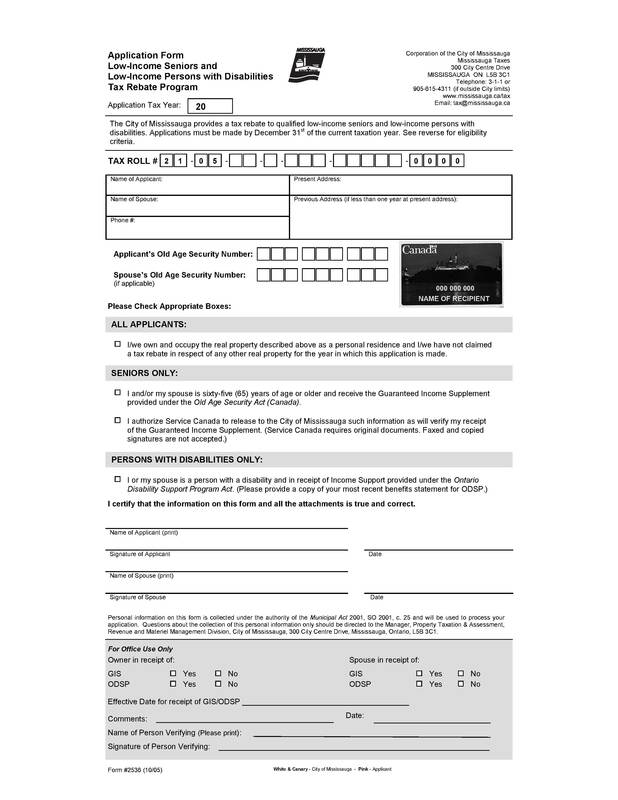 A rebate of $400.00 is provided to qualified applicants. (c) every owner of the property is either an eligible owner or the spouse of an eligible owner. ♦ Applications must be submitted by December 31st of each year for which a tax rebate is claimed. 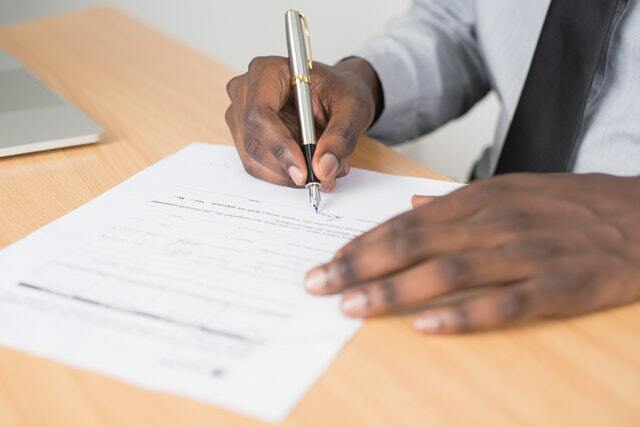 ♦ A separate application is required to be completed each year. ♦ No more than one application may be submitted for a property in any year. ♦ An application cannot be submitted by an owner for more than one property per year. ♦ The rebate when approved will be credited to the applicant’s property tax account without interest. ♦ Late payment charges that have been applied to the applicant’s property tax account in advance of the rebate having been credited to the account will not be cancelled, reduced or refunded. The deadline for submitting an application is December 31st of the current taxation year.